February 25th, 2018 – Your loved ones may have passed on but why not send them off with a stripper? An interesting look into Chinese cultural practices presents us with the tradition of hiring “exotic entertainment” for weddings, temple fairs and even funerals in rural China to ensure a larger turnout of attendees. 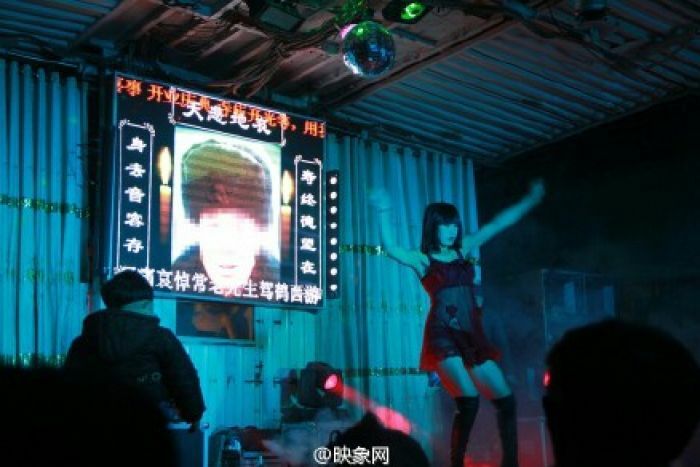 According to the Global Times, a sign of respect may include exotic dancers removing their clothing in front of digital screens with photos of the deceased throughout Henan, Anhui, Jiangsu and Hebei provinces. Some experts claim the practice arises from ancient fetility worship to “convey the deceased’s wishes of being blessed with many children,” but Chinese authorities have started cracking down especially since many funerals are attended by seniors and children. They’ve urged citizens to call a hotline to report offenders. 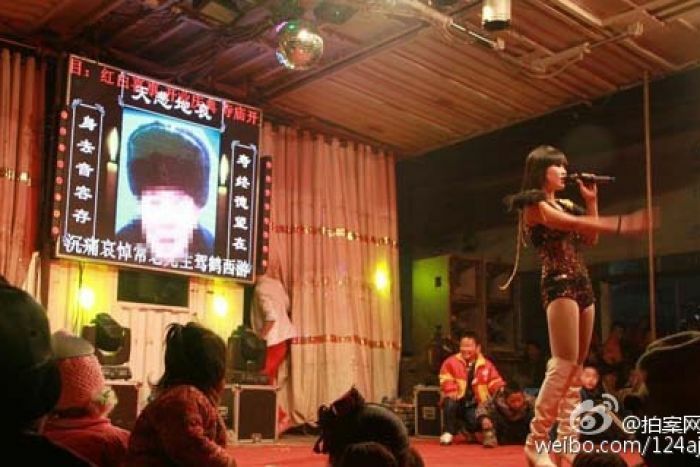 In 2006, the BBC reported that five striptease troupe leaders were detained by authorities in the Jiangsu province. So before you decide to follow Uncle Ted’s eulogy with a short presentation of the exotic arts, please consider whether that’s the best use of your rainy day fund just to entice mourners.